One of Joe’s fans got her arm autographed after the show in Pittsburgh on March 27th. 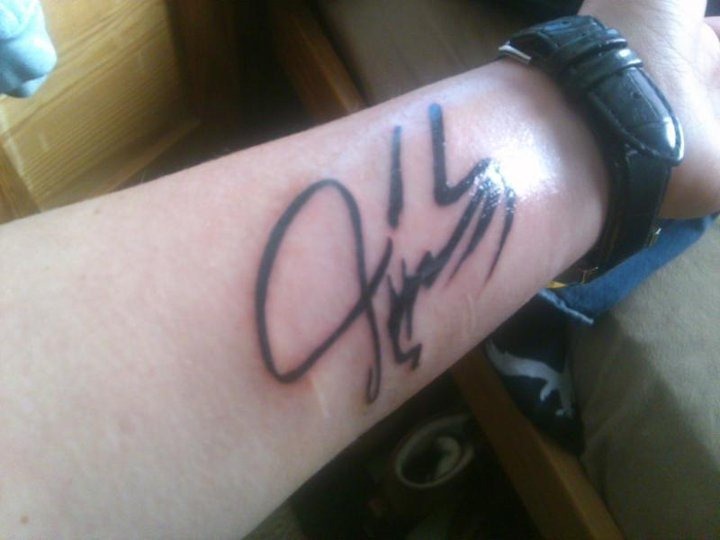 Yesterday she decided to go get Joe’s autograph tattooed to her arm. You can see Joe’s signature now permanently on her arm in the picture above. I have to say, this is the first I’ve seen of a tattoo of Joe’s signature. Hopefully many other JB tattoos to come in the future..
Yep… and I’m already thinking about what I want… hee-hee-hee. Now THAT’S dedication!! I don’t get to see him til tomorrow. I had the same idea and googled to see if anyone else did it hahaha.